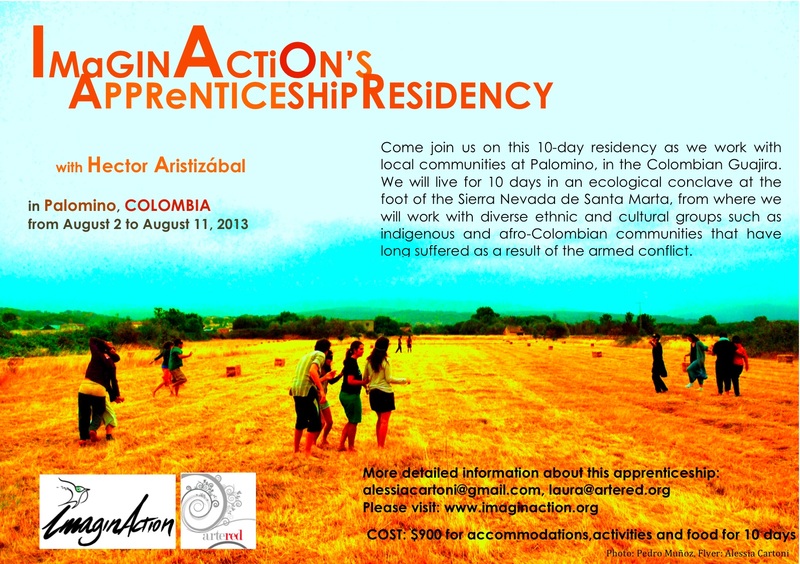 Come join us on this 10-day residency as we work with local communities at Palomino, in the Colombian Guajira. We will live for 10 days in an ecological conclave at the foot of the Sierra Nevada de Santa Marta, from where we will work with diverse ethnic and cultural groups such as indigenous and afro-Colombian communities that have long suffered as a result of the armed conflict. They continue to endure a human rights crisis, regularly confronting forced displacement, loss of cultural identity, racial discrimination, lack of environmental protection and abandonment by governmental institutions. We will also enjoy incredible day-trips to some of the outstanding natural surroundings that the local people are trying to keep from appropriation by the tourist industry. In past residencies in Northern Ireland and China, ImaginAction apprentices have received in-depth, personalized mentoring while the team offers hands-on theatre trainings and interventions in the host community. This immersive process creates much opportunity for reflection on a daily basis—reflection on the transformation of both the community and ourselves! We try our best to document the work (via video and note-taking) in order to share with other facilitators around the world who are interested but perhaps unable to access this type of apprenticeship. COST: $900 for accommodations and food for 10 days. Does not include airfare! We recommend that you to fly to either Cartagena or Barranquilla international airports from your city of origin. Air fare ranges between $600 and 800 USD leaving from the US.